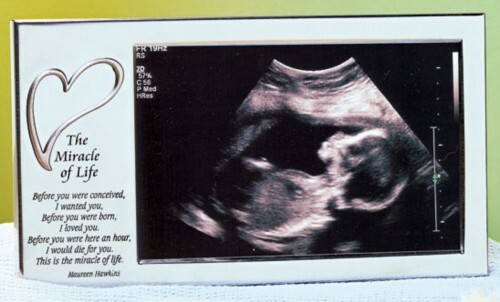 The Sonogram Frame makes a great gift for new or expectant parents that will become a treasured keepsake. 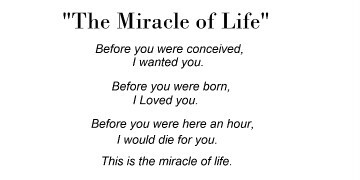 The Miracle of Life Sonogram Frame is the perfect frame for a sonogram photo, and it can hold other 4" x 6" photos as well. Polished steel frame (4-1/2" x 8") has a plastic covering over the photo.